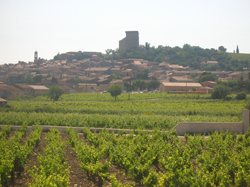 The area of the Châteauneuf appellation expands to 3 200 hectares and has 300 producers. 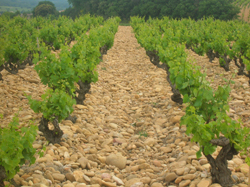 13 grape varieties are allowed for the Châteauneuf-du-Pape AOC. The production is of 35 hectolitres by hectare. 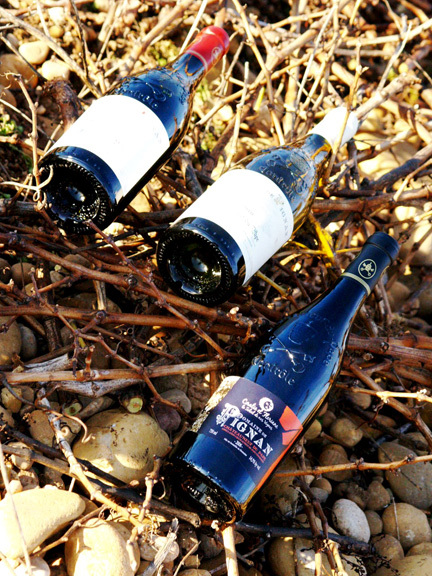 The area of the vineyard is 14 hectares for the red grape varieties and 1 hectare for the white. First of all looked-out for nature each year is different, we adapt our work according to parameters and climate, respecting nature. Have for feature to accumulate the heat of the day in order to be able to release it the night. « The harvest » : the grapes are sorted and picked by hand at a very advanced technological maturity to obtain aroma well mature ( we always wait for the proclamation of the harvest to cut our vine). 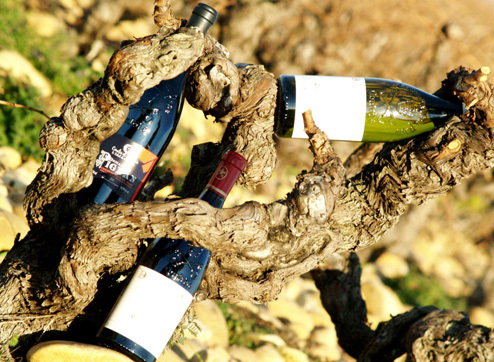 The vines, sorted and harvested are subjects of the greatest attention before being transformed into a divine nectar. It is a serious and expensive work. 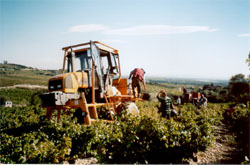 Our tippers for the harvest are carried to our cellar. 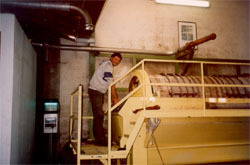 « The pressing »: this intervention consists in bursting open the vine in order to extract the pulp and the juice. Then put into concrete vat after 95 % of stratching. The « maceration » : lasts 15 to 21 days on average. Reassembly and release daily. The control of the temperature is done several times a day, it must be kept between 28 and 30 degrees. The drop beyond these temperatures is made with a refrigerator system. 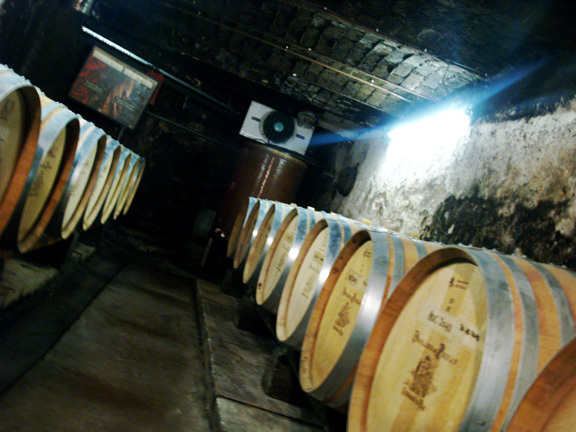 After this period of vatting time and fermentation, the must has been transformed into wine. The alcoholic fermentation is a very important stage in the elaboration of the wine because at this moment the added yeasts transform the sugar of the vine into alcohol. 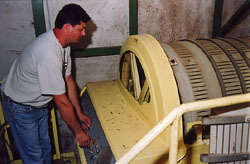 The flow occurs, then the pressing, this stage consists in going through the bunches of grapes into the wine press (type pneumatic Bucher) in order to leave them from. the vat and to obtain the guise. 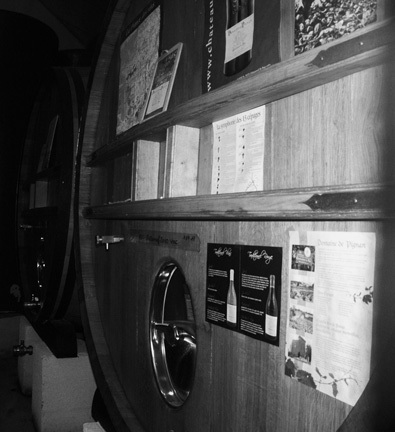 Afterwards, when the wine is finished, we put it in oak barrels and tuns between 12 and 18 months, this time passed, the wine is bottled. 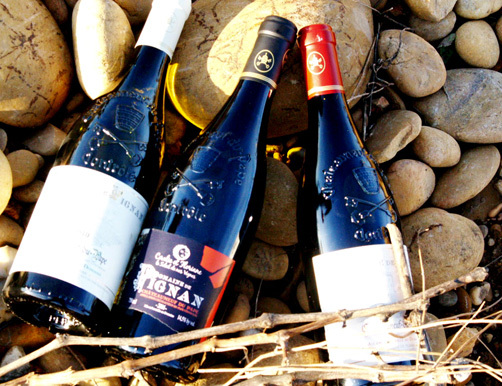 « The harvest » is the same as for the red but we only collect white grape varieties. The vine must be harvested in the morning because it is the coldest moment of the day. 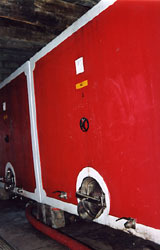 « The wine production »: the bunches are crushed in the harvesting bin and go through the tank, but contrary to red wine, the pressing is direct, because the must do not ferment with the presence of the stem and films. The fermentation is slow. The temperature of the must has to be kept to 18 degrees with a refrigerator system in order to preserve the delicacy of aromas and a good intensity. « The racking » of the must consists in releaving the must of impurities. We decant the juice by taking the clear (thin) only. Then we put yeasts so as the alcoholic fermentation starts. As for the red, the fermentation turns the must into wine. 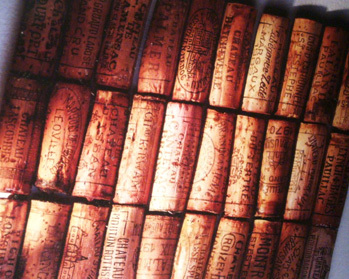 For a good development of the fermentation, we control the density and the temperature of the wine daily. The white wine is bottled quite fast (about 6 months), as soon as the wine has finished to ferment totally.